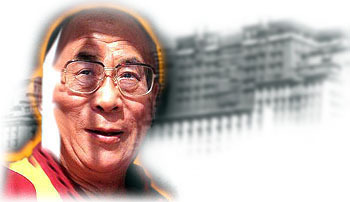 The 'Festival of Tibet 2000' starts tomorrow with the arrival of the Dalai Lama in Mumbai. Probably not many people in India know that about 4,000 to 5,000 Tibetans still run away from their mountain-bound native land of Tibet every year and many of them continue to seek refuge in India. Which, after all, says president of the Tibetan Youth Congress, Tsetan Norbu , 'is the land of our Guru'. About the refugees, he added, 'you should see the state in which they arrive after having crossed the snow-clad mountains, many of them are frostbitten and suffer from eyesight problems.' It is the Government-in-exile in India which has to settle these refugees on one of their 37 Tibetan Tibetan refugee settlements in India. The Tibetan dilemma of surviving away from their homeland, continues for over 2,00,000 refugees world over, more than half of whom are in India. Says Norbu, 'actually this is a small number when you realise that six million Tibetans are still in Tibet and they are being outnumbered now by 7.5 million Chinese!' China. from the sound of it, has left no stone unturned in its efforts to root out the religious and cultural identity of native Tibetans and replace it with Chinese homogeniety (Tibet was invaded and annexed by China in 1949). In India, Tibetan refugees who were away from home for the last 40 years, the idea behind having the 'Festival of Tibet' makes sense. It is to create understanding and get support from every section of Indian society for the Tibetan cause. This is the second time such a festival is being held in Mumbai, but the last time it was on a small scale, this time His Holiness the Dalai Lama, will be arriving in the city to inaugurate the richly-packed six-day festival. He will also be addressing a public gathering on 'The Ethics For The New Millennium' at the Birla Matushri Hall, at 4pm. Apart from the cultural troupe quite a number of monks from various Buddhist monasteries in India are in the city. Monks make up roughly eight percent of the Tibetan refugee population in India and it is the monks who will be engaged in some of the religious rites of the forthcoming festival eg. a collection of butter sculpture is being readied at Crossroads (Tardeo), a sand mandala will also be created by the monks, as also special arches at the YB Chavan Centre (the venue for the screening of the Tibet-related documentarie, feature films and animation films). Interestingly, this year's 'Festival of Tibet, 2000' has been organised by the Tibetan Youth Congress (founded in 1970 and one of the 71 chapters the world over) in collaboration with the Friends of Tibet (INDIA), a city-based organisation, founded a year ago.